What Makes the BeQuick CEM Different? Customer Experience Management is more than just managing customer information, it is the heart of your business operations. Create a higher level of confidence in your services and ultimately keep your customers happy. 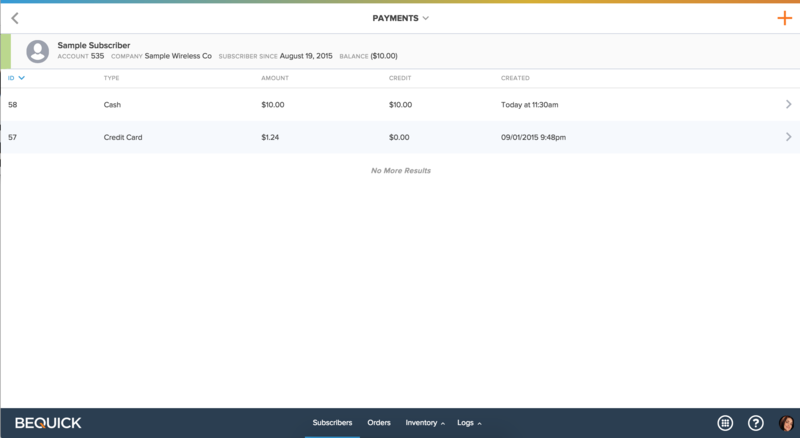 Make it easy for customers to manage their own accounts. 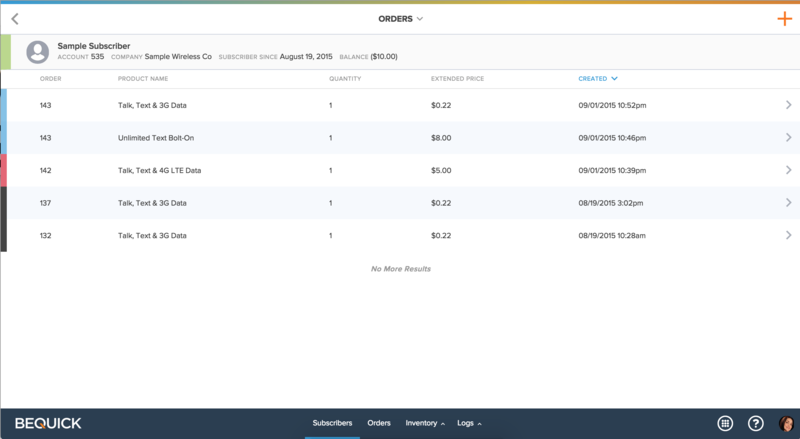 Reach out to customers to increase sale opportunities or for simple reminders on account information. Don’t just manage your relationships, create lasting customer engagements. The BeQuick Customer Experience Management (CEM) module is designed to make it easy for your employee users to create engagement with customers through a strong set of tools for communicating. You can quickly train your CSRs, in a day or less, to immediately start offering effective, customized service experiences. With the intuitive and engaging communications and self care options, as well as 24x7 payment collection options, you can create a higher level of confidence in your services and ultimately keep your customers happy. 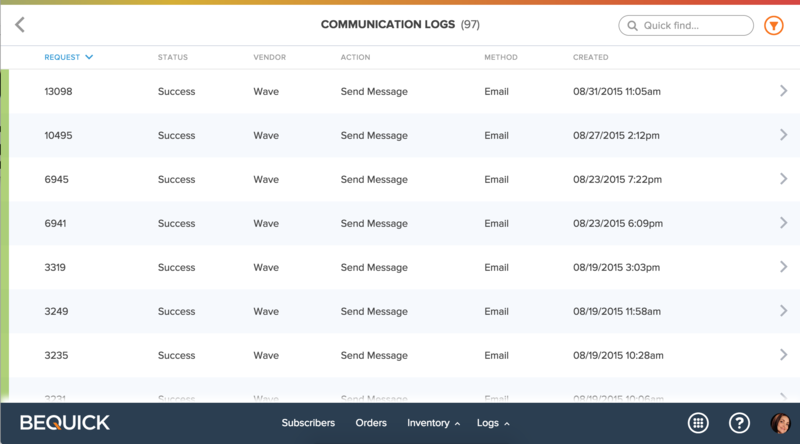 The powerful, automated, proactive communications options available within the CEM allow you stay in touch with your subscribers through various channels. Schedule and send many different types of notices, such as top-up or payment reminders, welcome letters and disconnect notices, without sacrificing your valuable human resources. The correspondence options include SMS text messages, emails, printed letters, and even outbound IVR calls with recorded messages with personalized variables such as name, amount due, due date, and much more! Provide exemplary customer experiences when your subscribers need the assistance from your call center or support team. 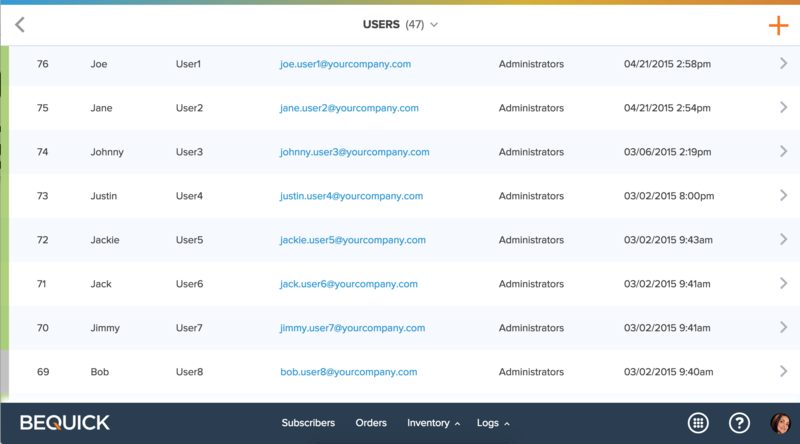 All the information is stored on the subscribers' accounts so your CSR or employee user can see everything at a glance with a dashboard view of all the key account information. Never miss out on a payment with phone and online payment options. Since the modular BeQuick Commerce Solutions are tightly integrated with the CEM, your business can grow even on the weekends or during off hours by allowing your subscribers to make payments via credit card through the IVR system or via their online account. 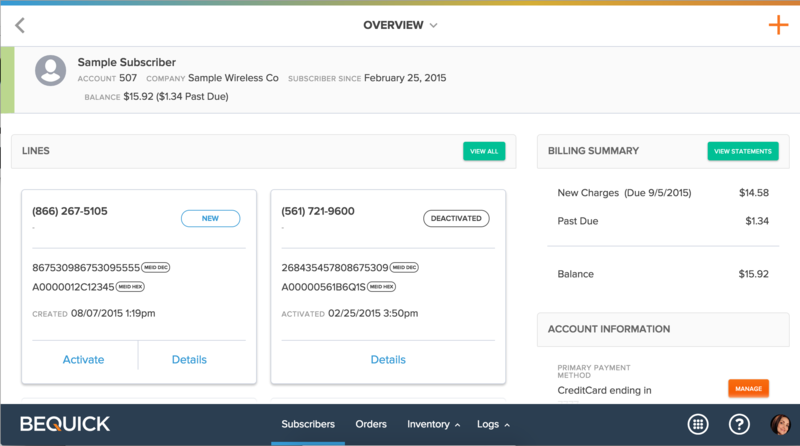 The BeQuick Customer Experience Management Solution provides a dashboard view to do different activities like activate a device, view remaining minutes/texts/data on a line, buy additional services or airtime (ie top ups) on a line, review order status, invoices and order details (including amount paid/taxes/etc. ), and manage account login credentials and contact information.